Mikaya was full of energy and M’Tima was obviously the more mature older sister. What they had experienced, though, in watching their mother battle not one, but two terrifying diseases gave these girls a different frame of reference than most children. Their reality? 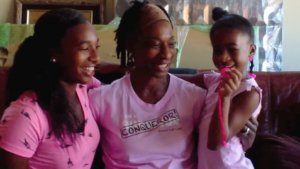 These girls had witnessed just how much time Mommy was spending kept away in her bedroom, resting, healing. and settle, so Mommy’s room was not quite decorated or made into the resting place that she really needed. Brenda’s bright spirit was exuded through her two girls as they sat and told us about how much this wish meant for them and their Mommy. 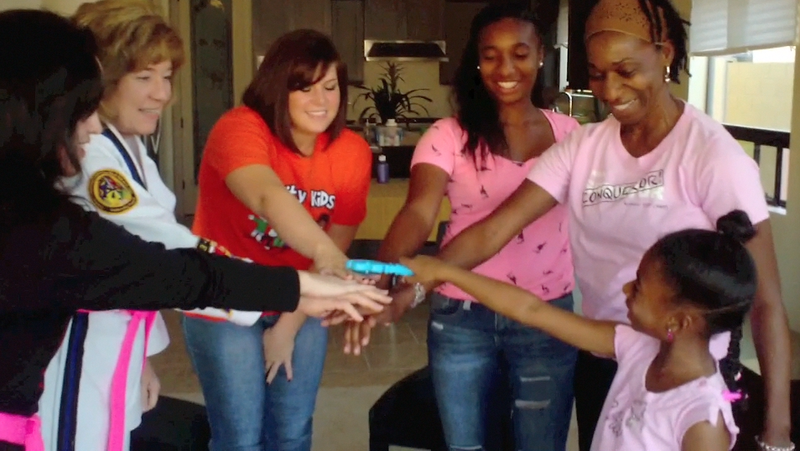 October of 2013 (our first wish granting!) 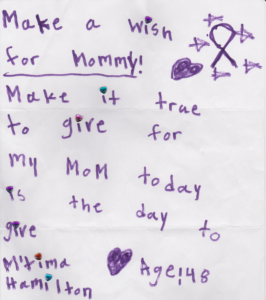 we granted Mikaya and M’Tima’s wish for their Mommy by presenting them with a $500 check to help make their wish come true!